As a modern society we are all well familiar with the role that marketing has in helping organisations grow through development, implementation, promotion and assessment of products and services. We’re also familiar with the pivotal role market research plays in informing, monitoring and guiding these processes to ensure the efforts of the organisation are best directed. We also understand that society has a social conscious and those at times pre-existing societal beliefs, common held attitudes and otherwise taken for granted behaviours are unjust, restrictive, dangerous, irresponsible, ill-informed or simply counterproductive to the best interest of the community and its peoples. This is where Social Marketing Campaigns are increasingly being adopted by government, not for profit and community minded organisations to help inform, enlighten, alter attitudes and as needed modify behaviours for the betterment of the society and its inhabitants. newfocus is sought out for its vast experience and expertise in assessing social marketing campaigns. In essence, the aim of social marketing is to improve the welfare of people and the physical, social and economic environment in which they live. Although social marketing uses many commercial marketing principles and techniques, it focuses first and foremost on increasing social and human capital. Unlike short-term sales focused commercial marketing campaign, most effective social marketing campaigns utilise a long-term approach to attitude and behaviour change, based on a carefully planned, evidence-based strategy. The behaviour change may involve doing something new (such as the iconic “slip, slop, slap” message), doing something differently (e.g. purchasing and re-using shopping bags instead of using plastic), or stopping doing something altogether (e.g. domestic violence). Social marketing is also used to help create environments that support the desired behaviour. 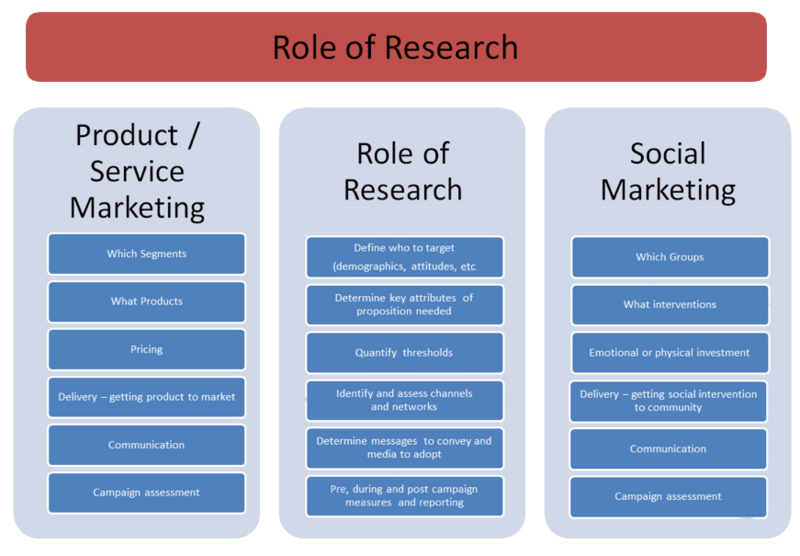 Research has a pivotal role to play in tackling these social causes – a role that is not dissimilar from that adopted in mainstream product and service marketing.